Stainless steel constructed machine body ensures superior rigidity and stability, with light weight design and pleasing appearance. Equipped with CE level compact gear reducer, ensuring superior quality and performance. 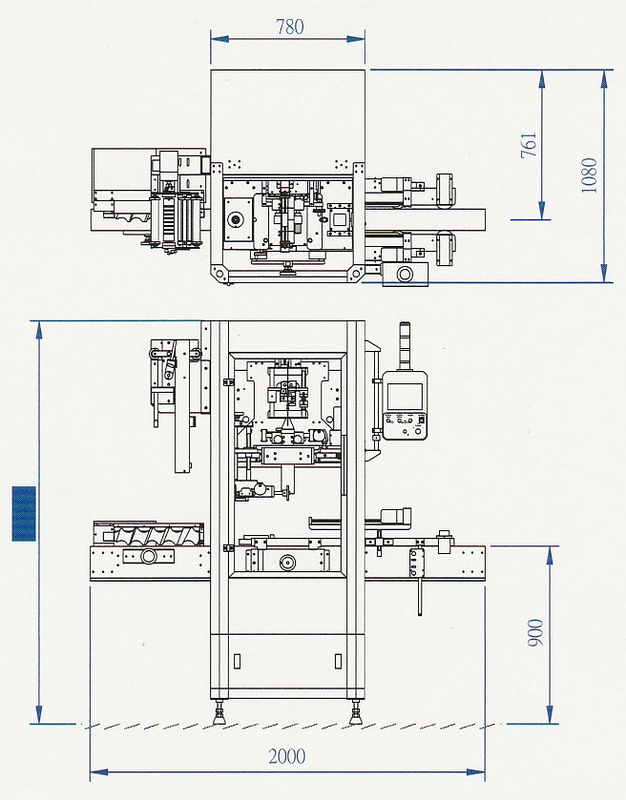 Machine can be manufactured completely according to CE standard for utmost quality and safety. Using selected high-level drive and control system for the best compatibility and convenient maintenance. Advanced HMI from superior brand, combining built-in buttons with light, featuring user-friendly operation. Newly designed synchronizing clamping devide with motor ensures convenient adjustment and high valve. All optical fiber sensors set on machine are from worldwide famous brand to ensure the best accuracy. Multi-functional features make it possible to utilize machine with diverse devides or equipment to fulfill various production need. High quality with competitive price bring 100% customer satisfaction. * Speed according the sleeve length of 100 mm as a standard.